Square Enix Holdings Co., maker of the “Final Fantasy” and “Dragon Quest” video game series, is seeking partners in China to win sales in Asia’s biggest economy. The shares rose the most since February. 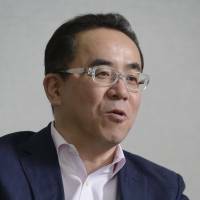 The game maker aims to boost sales from Asia outside its home market of Japan to as much as 40 percent of its total within “several years,” President Yosuke Matsuda said in an interview on Monday at its Tokyo headquarters. The company, which gets less than 2 percent of revenue from the region, has tie-ups with Tencent Holdings Ltd. and Shanda Games Ltd. and is seeking other partnerships to expand sales of hit titles. 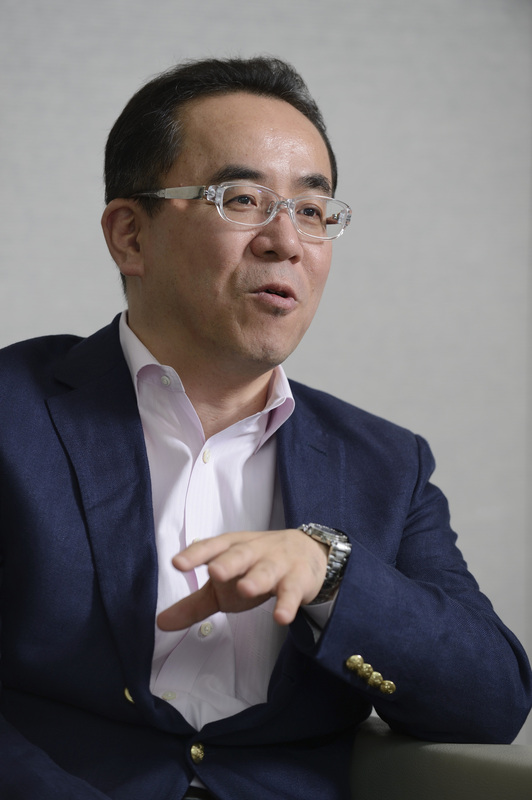 Matsuda, appointed president in June last year, is restructuring the company to focus more on developing games for smartphones as players seek alternatives to traditional video game consoles, such as Microsoft Corp.’s Xbox and Sony Corp.’s PlayStation. This fiscal year is a “critical time” for Square Enix to accelerate game development for mobile devices, Matsuda said in May. Square Enix shares rose as much as 11 percent, the biggest gain since Feb. 6, before trading 7.9 percent higher at ¥1,934 as of 9:10 a.m. in Tokyo. The benchmark Topix index added 0.1 percent. Expansion in China is a “major theme” for the company in the current fiscal year, Matsuda said at the annual earnings briefing on May 12. Square Enix is trying to release titles that have been successful in Japan to overseas markets, including China and Southeast Asia, he said. China is lifting a 13-year ban on video game consoles and both Sony and Microsoft have announced ventures to tap demand. The mobile game market in mainland China will grow to more than ¥500 billion in 2015 from less than ¥100 billion in 2012, according to a Square Enix presentation in May. Square Enix plans to sell “Final Fantasy XIV,” an online role-playing game, in China this summer in alliance with Shanda Games, Matsuda said May 12. Outside China, the game is already available on desktop computers and Sony’s PlayStation. In the “Final Fantasy” game, a player controls a group of characters in an imaginary world, fighting battles and completing tasks to advance the story line. More than 100 million copies of the series have been sold since its release in 1987, according to Square Enix’s website. The company is also working with Tencent to introduce smartphone title “Sangokushi Ranbu” in China. The role-playing game adopts historical characters and events that took place in China during the second and third centuries. The company posted record operating profit of ¥28.2 billion ($279 million) in the year ended March 2010, according to data compiled by Bloomberg. Matsuda said Monday he aims to surpass that in the next few years as Asia sales, driven by China, grow. Square Enix posted net income of ¥6.6 billion in the year ended March 2014, compared with a ¥13.7 billion loss a year earlier. Sales rose 5 percent to ¥155 billion. The company forecast net income of between ¥3.5 billion and ¥6.5 billion in the current fiscal year. About 47 percent of Square Enix’s ¥94.6 billion digital entertainment sales last fiscal year were generated from high-definition games, while 27 percent came from titles for smart devices and computer browsers, according to its earnings presentation in May. Approximately 20 percent came from multiplayer online games such as “Final Fantasy XIV,” it said. Square Enix’s unit Taito Corp. released its “Puzzle Bobble” title on smartphones through partnerships with Line Corp. in Japan and Kakao Corp. in South Korea, the largest messaging application providers in each country. “Puzzle Bobble” for Naver Corp.’s Line application has attracted more than 3 million downloads since its release in December last year, according to a release from Taito on June 17. The South Korean version was available from May this year and reached the same download figure in about a month, it said in a separate statement on June 10. Square Enix said in January the smartphone title “Dragon Quest Monsters: Super Light” had more than 1 million downloads within four days of its release and the game currently has more than 5 million downloads, according to its website. In April, Sony sold its entire stake of 9.52 million Square Enix shares for ¥15.3 billion. Sony made the investment in 2001 before Enix Corp. bought Square Co. in 2003.